Ryfan provides MEP services on "unconventional" projects. Our approach emphasizes goal alignment and collaboration to maximize performance and results. "Construction has suffered for decades from remarkably poor productivity". We want to fix that. 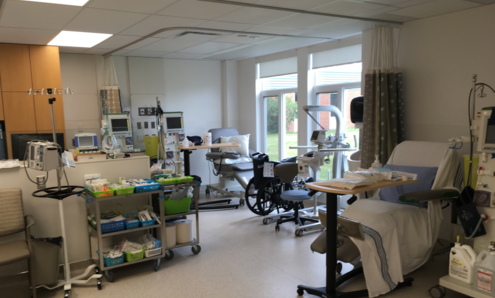 The end users moved into the dialysis unit and started treatments today. By all accounts they’re very happy with how the space turned out. I know there’s still some things to wrap up, but I wanted to thank you for your hard work on this one. I know it was a bit of a grunt, but I’m glad we had you guys on it.